Miniature 1/12 scale triple scoop of chocolate ice cream in a bowl with a tiny spoon. Marshmallow Sauce with a cherry on top makes this tiny creation complete. 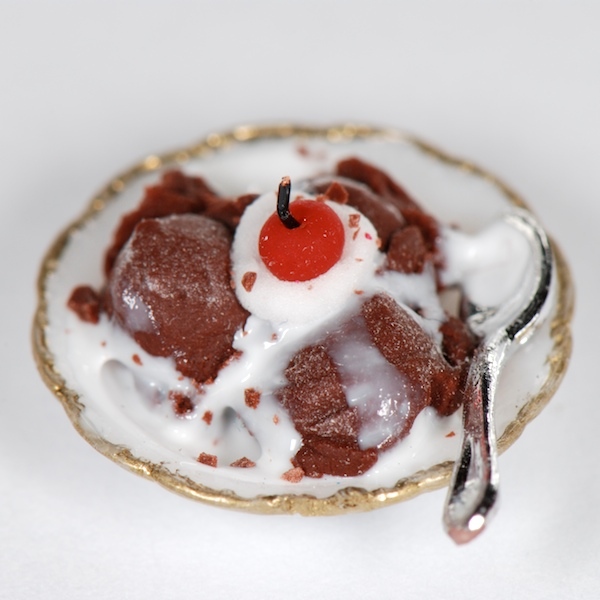 This is handcrafted ice cream made from polymer clay. It is 1/2" wide. This is a must have for any mini ice cream parlor or collection.